For sure this is a departure from my favorite triple-layer cake with buttercream. But, it’s ok to try new things, even if it is scary. How did I get here? 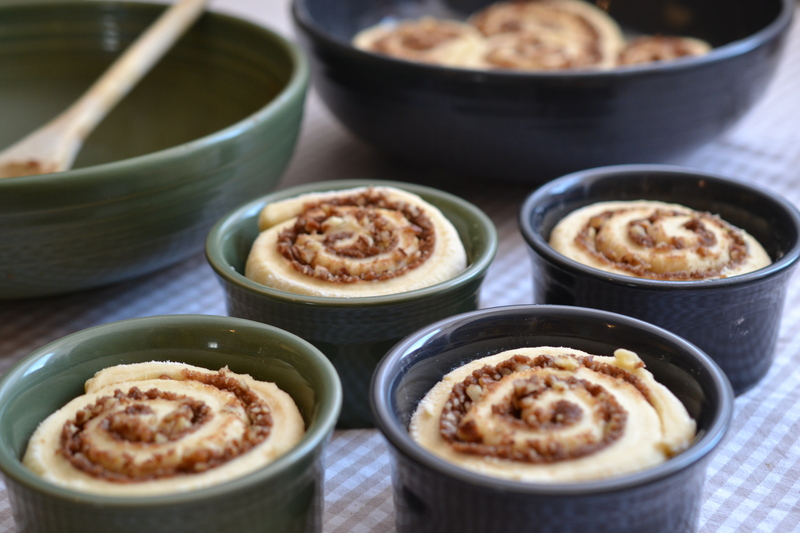 As soon as these Fiesta Ware ramekins in Slate and Sage arrived, I had to use them! 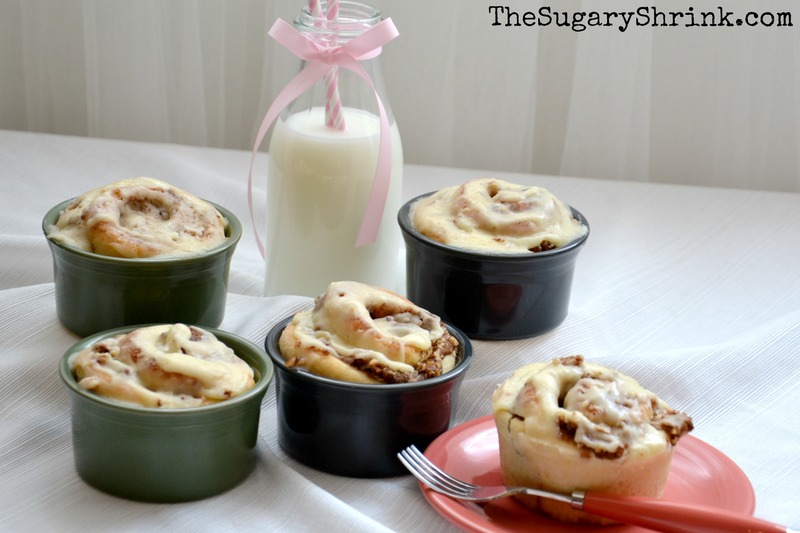 And it instantly came to me – Cinnamon Rolls. 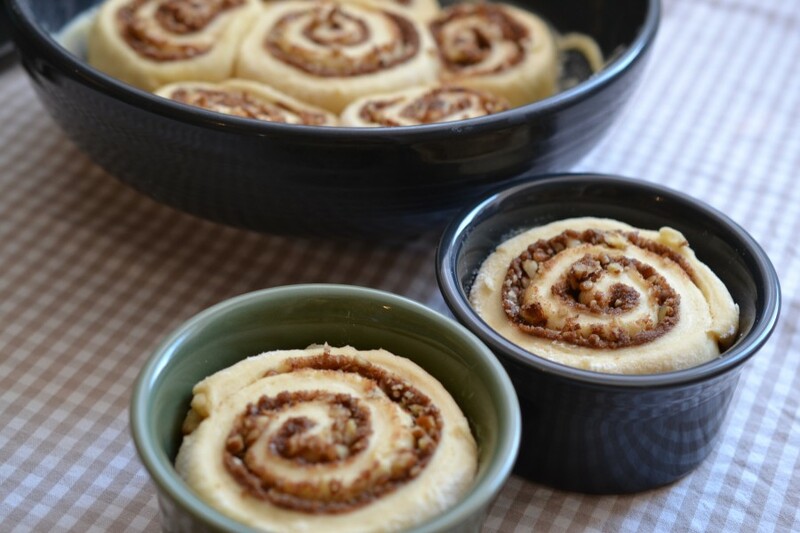 This shape couldn’t be any more perfect for the yumminess of a fresh-baked roll. 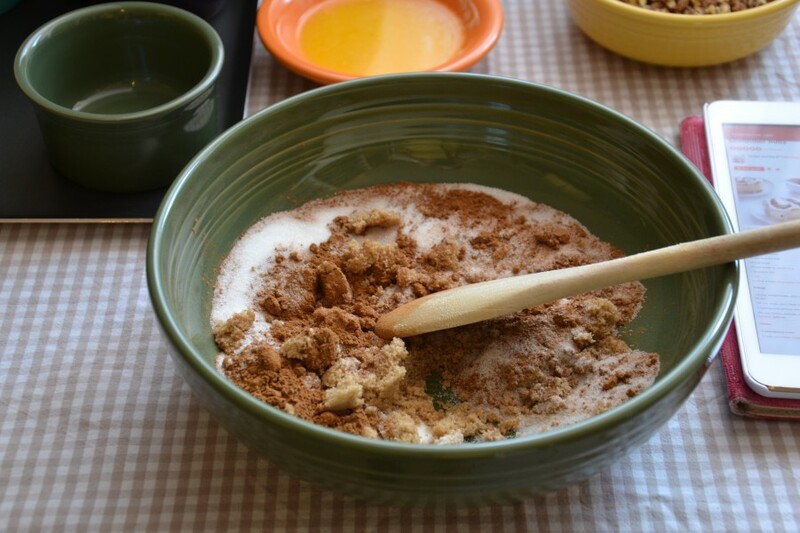 When looking for recipes, it quickly became clear there are two camps: yeast or non-yeast. I sorely wanted to bake the non-yeast option because working with yeast is scary and unpredictable and I have next to none experience. Oh and there is the time factor. 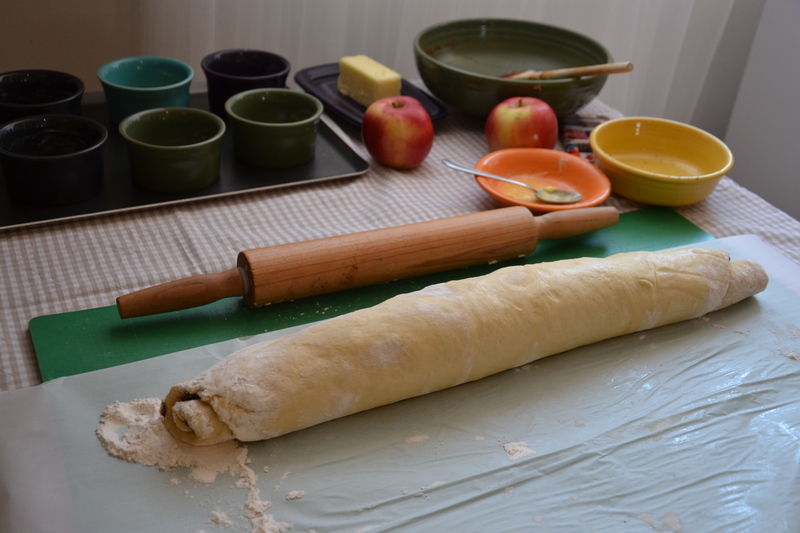 It is also the case the non-yeast roll, while still very very good, is more like a biscuit and less like a roll. Gah! During my research, I read about fast-acting yeast. Of course, I couldn’t find that at my small German market. This left me with the old-school, time takes time, let it rise twice yeast option. SO. WORTH. IT. 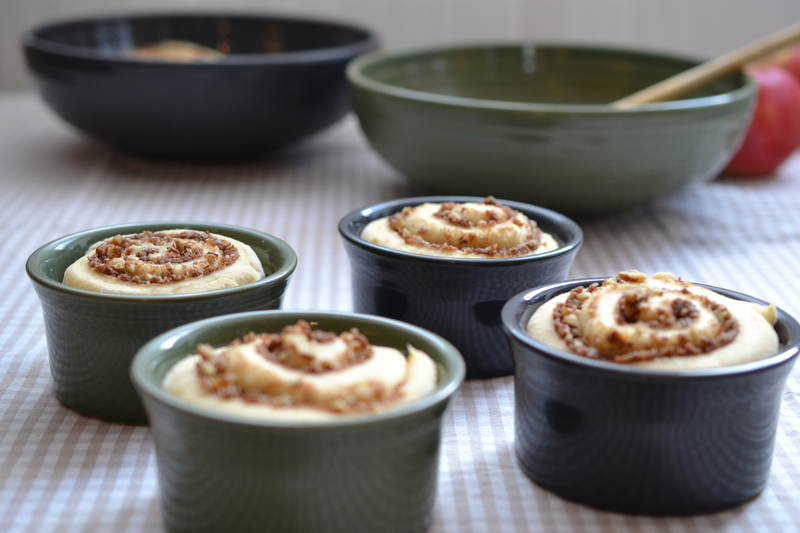 The BEST DISCOVERY … rolls baked in these ramekins were ridiculously soft and thoroughly baked through. This means every roll was the soft center roll. 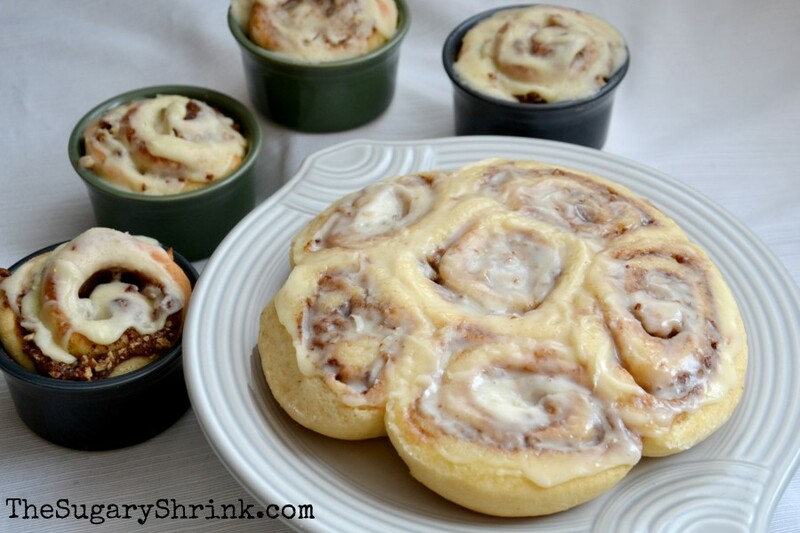 The people in my house used to arm themselves with a fork when sitting down to a plate of cinnamon rolls (made from a can) – the center going to the fastest. 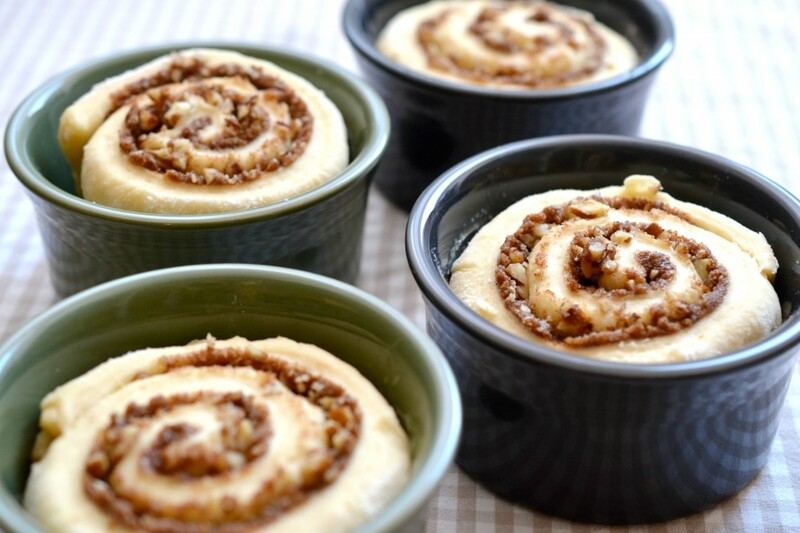 If this sounds familiar, try ramekins. How these beauties came together. 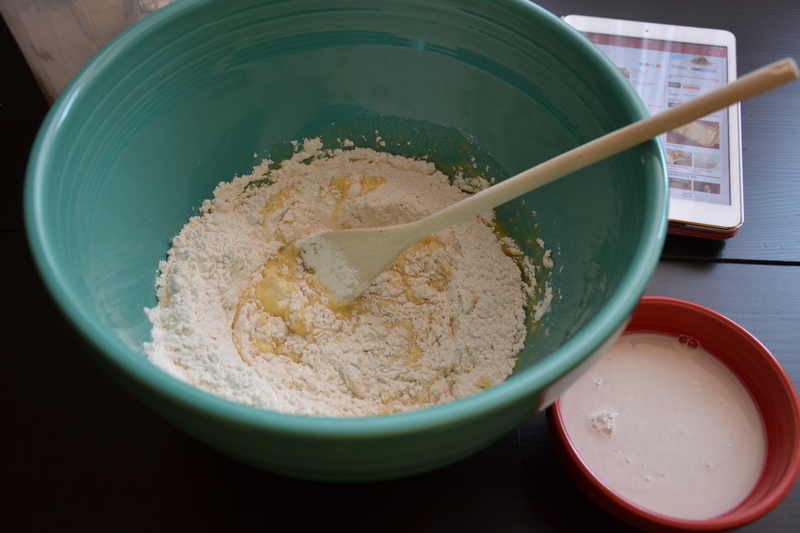 After I dissolved the yeast in warm water, I started mixing the rest of the dough. 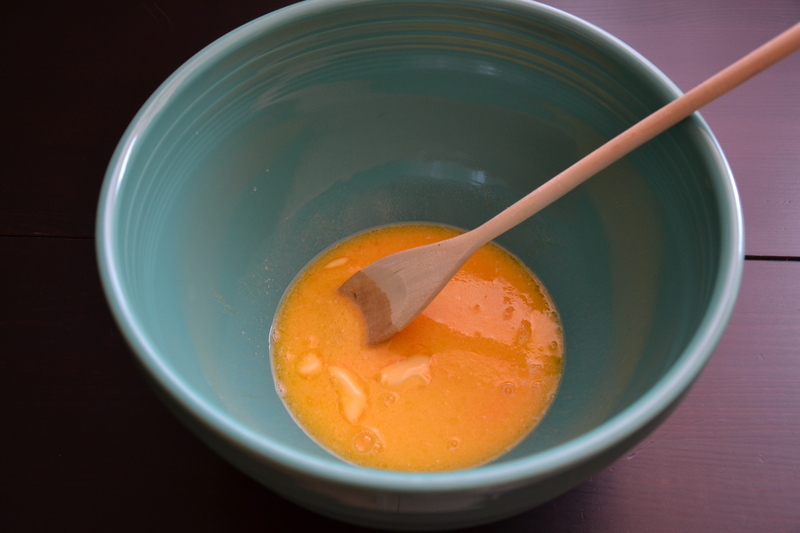 Working in my largest mixing bowl, I combined hot milk, sugar, butter, and salt, and an egg. 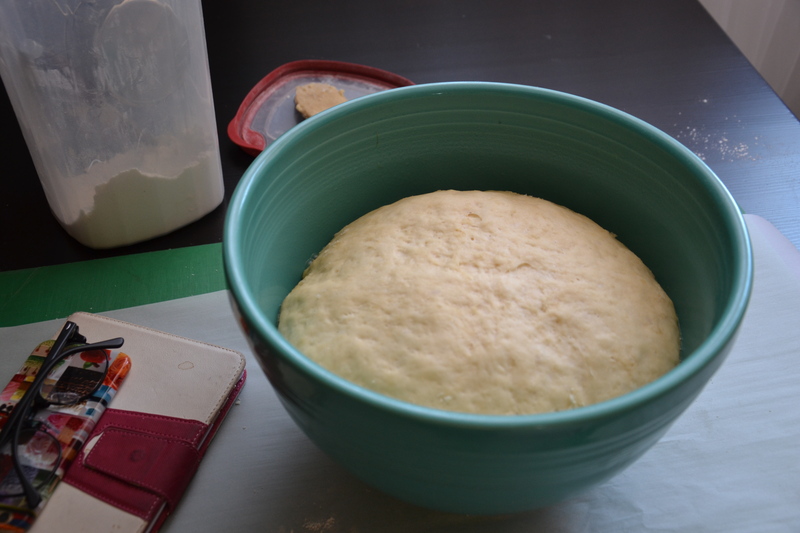 … and added the yeast/water mix. 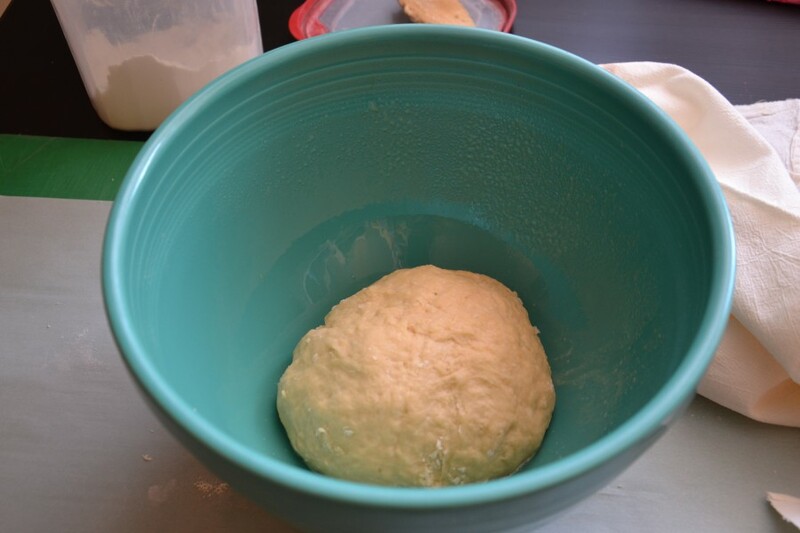 Because this is my best bowl for bread rising, I took out the dough, cleaned the bowl, and greased it with vegetable spray before returning the dough. 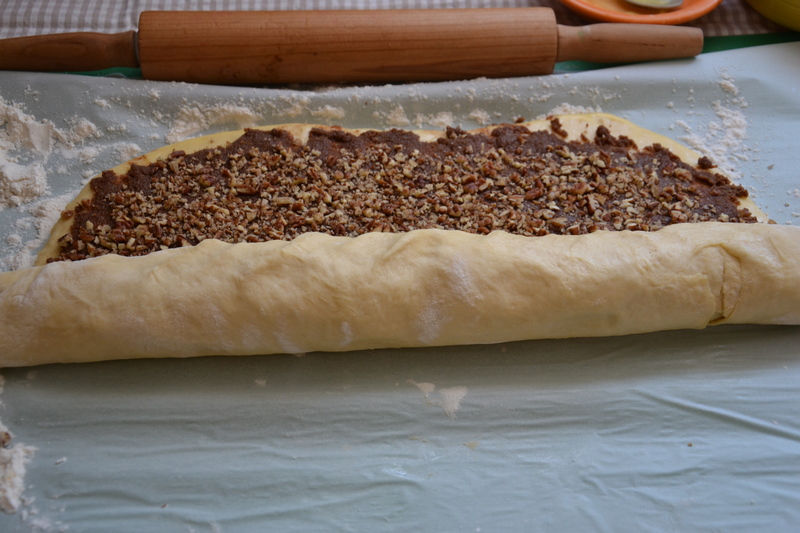 While the bread was rising, I worked on the filling. 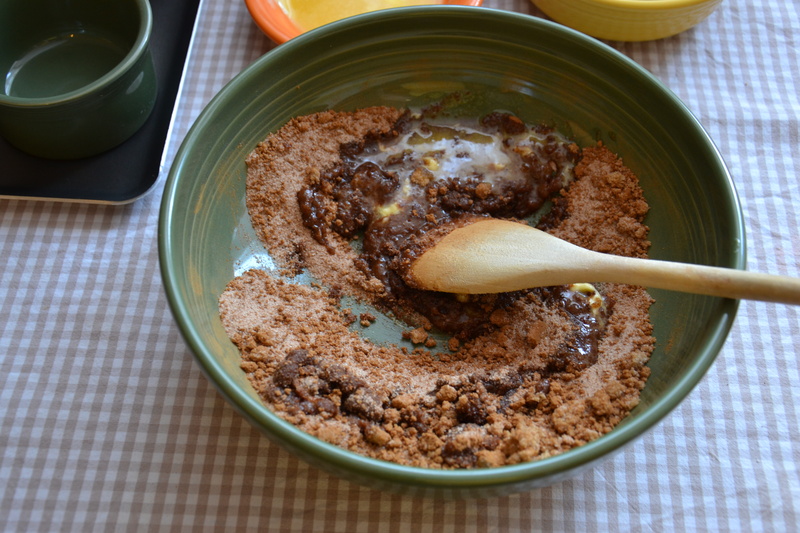 This is a mix of butter, white sugar, brown sugar, cinnamon, and allspice. Now the fun part! 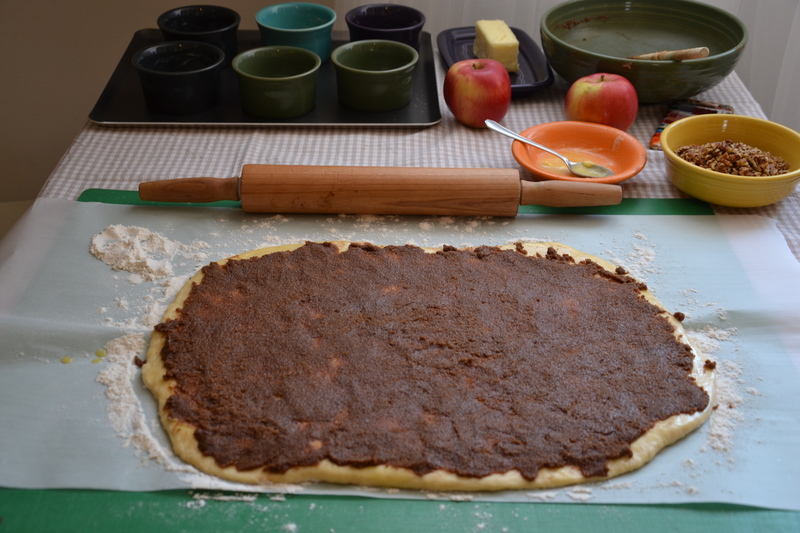 Rolling out the dough in a rectangle, roughly 15″ x 10″. 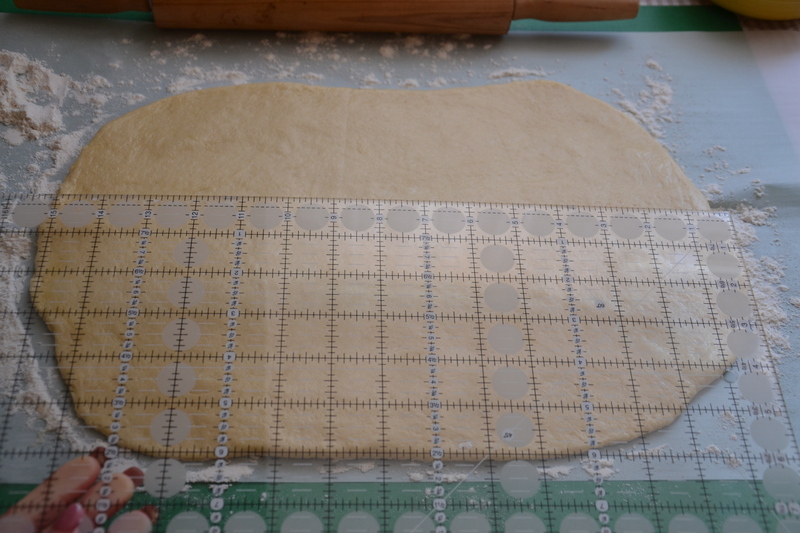 Hot tip: The parchment paper is a huge assist in starting the log roll. 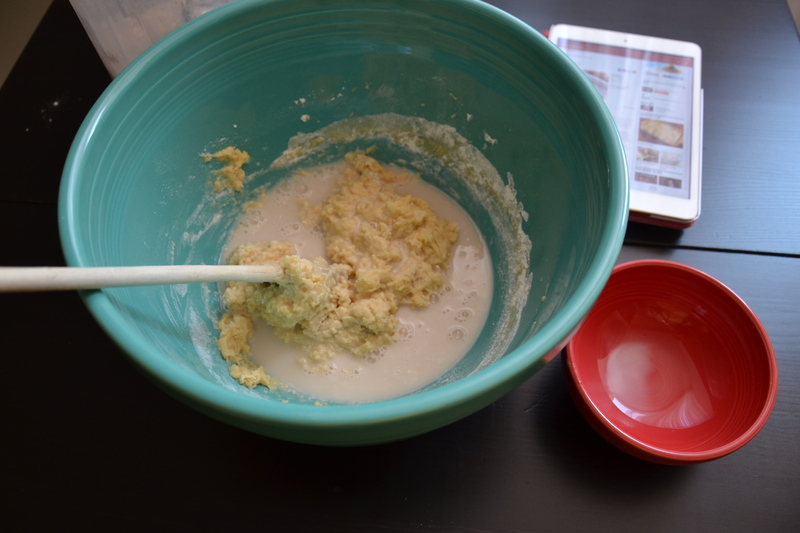 Warning: the next step is super messy. 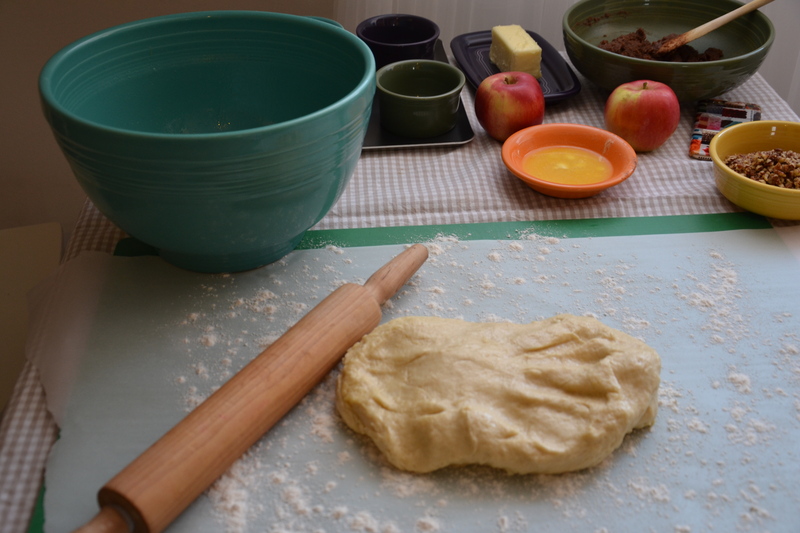 Brush melted butter on the entire surface of the dough. 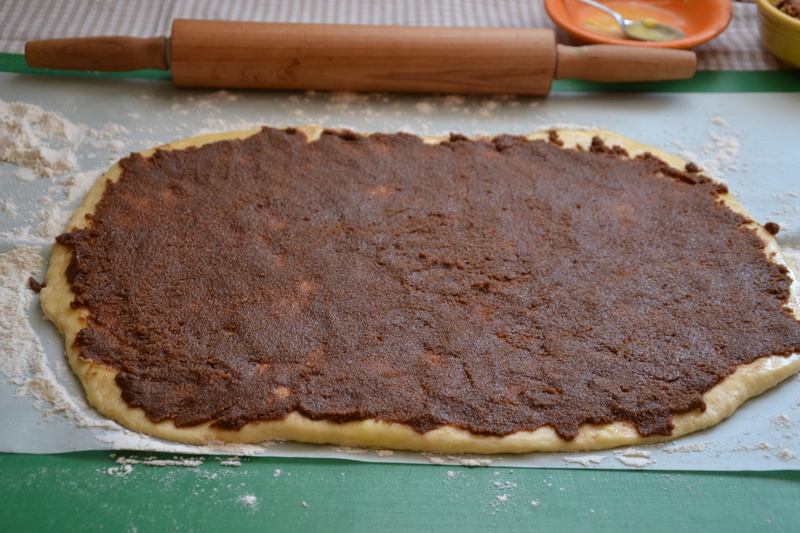 Then, by handfuls, evenly distribute the cinnamon filling – it was a bit like working with wet sand. Even coverage is the key. 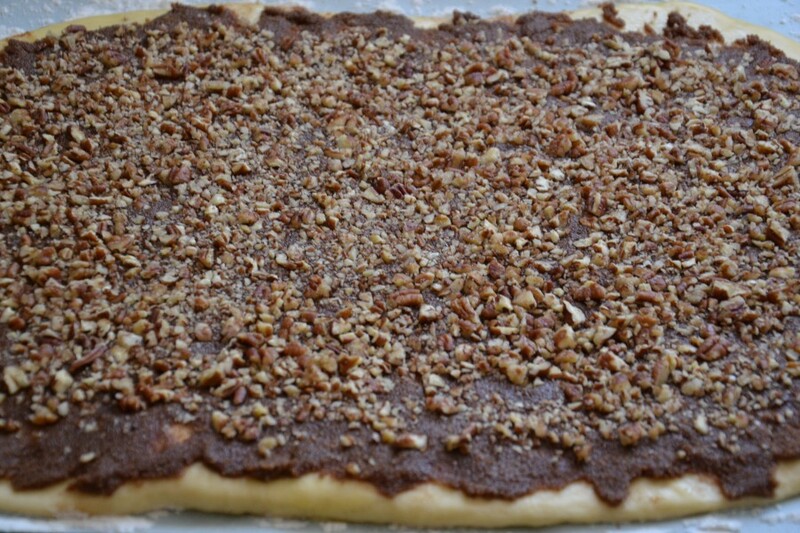 When finished, gently press the pecans into the cinnamon mix (this helps maintain evenness during the rolling process). 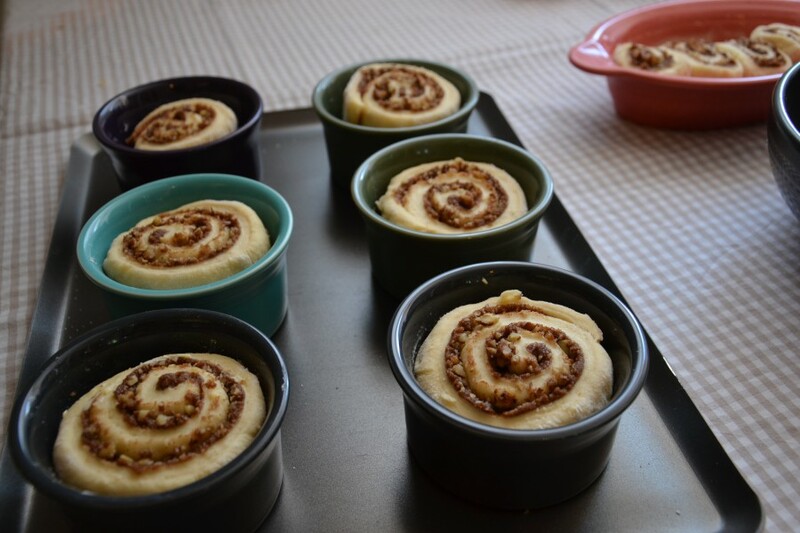 Coat the ramekins with butter, slice the rolls to desired thickness, and let rise an additional 45 minutes. 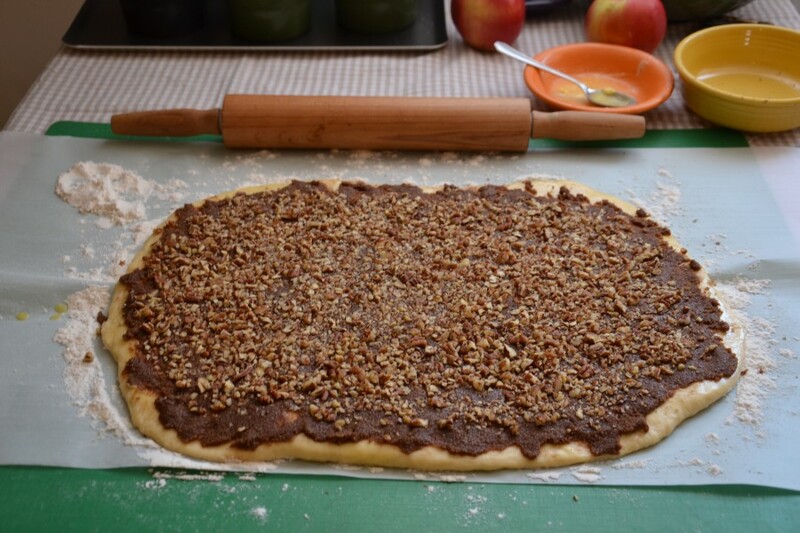 I love the tight spiral with an even cinnamon and pecan mix. 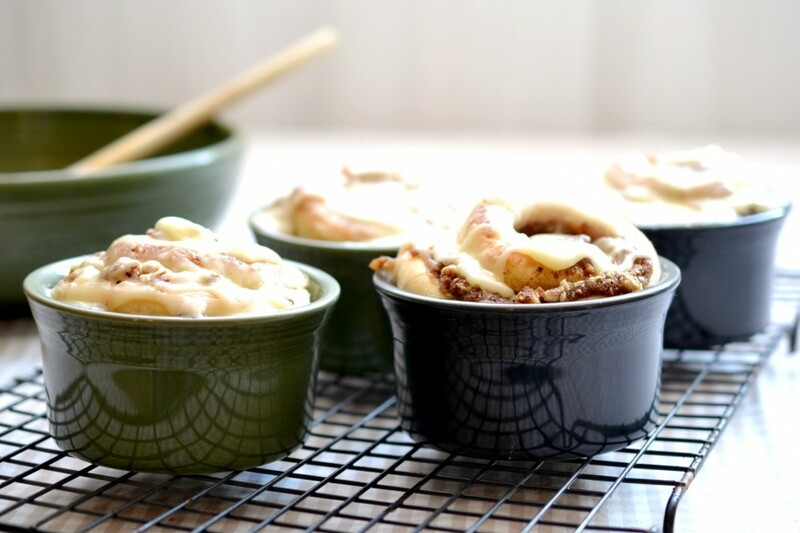 I prepared the glaze while the rolls were in the oven so the ooey-gooey goodness would happen at just the right time. 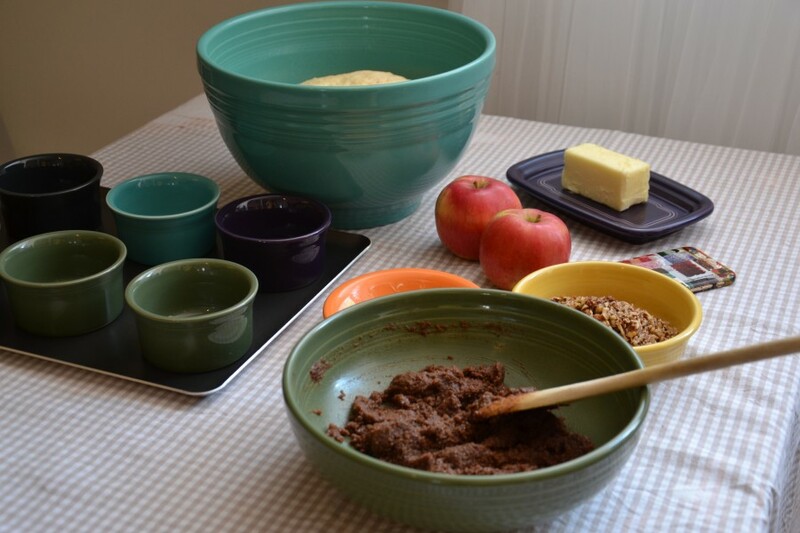 The Fiesta Ware Large Bistro Bowl is an ideal baking vehicle for a few of the rolls. 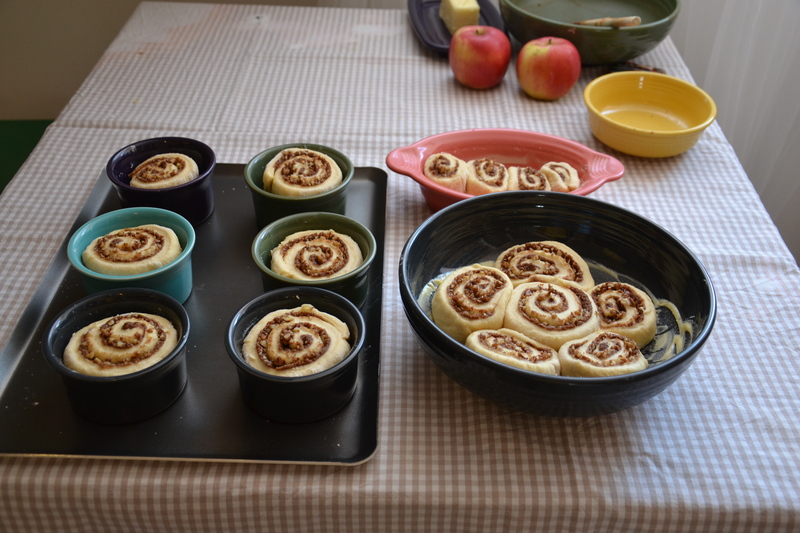 I didn’t have enough ramekins to make a dozen individual rolls, this was an ideal solution. And w0uldn’t a plate of these rolls be a perfect way to say “thank you” to a neighbor, colleague, or friend? 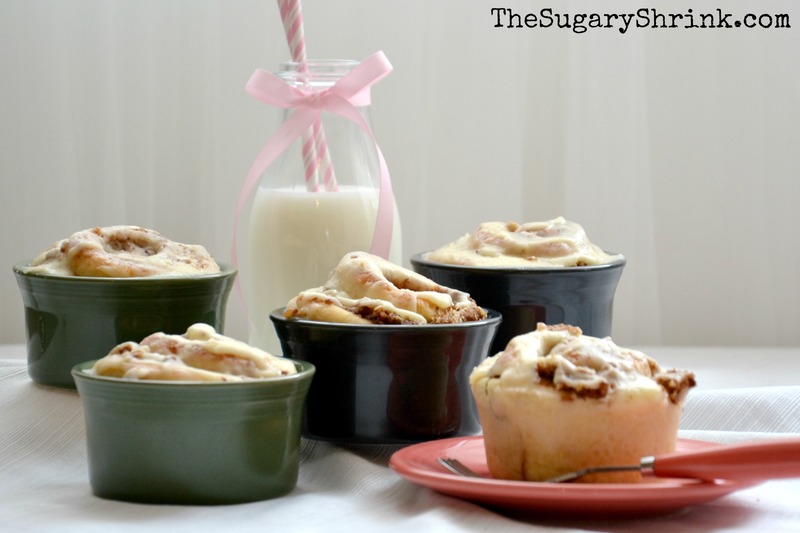 My life partner loves Cinnamon Rolls!